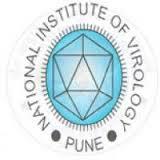 Project Technician II Vacancy – Last Date (Interview) 25 February 2019 (Alappuzha, Kerala), National Institute of Virology (NIV) recruits Project Technician II Post. Candidates with 10th, Graduate, Diploma experienced can apply. (1) High School* or equivalent with five years experience in data management from a Government institution or recognized institution or certificate of one year training in the relevant area. *Intermediate and Bachelor Degree shall be treated as equivalent to 2 and 3 years experience respectively. (1) Typing speed with 30/40 WPM in English 2) Bachelor Degree/Diploma in IT/Computer Science/Computer Applications. 3) Knowledge of management, administrative and communication skills. 4) Knowledge of computer applications and data management 5) Can read, write & understand Malayalam, English and Hindi. Interested candidates may appear for the interview/test with all documents in original in proof of their identity, date of birth, educational qualifications, experience etc. and one set of self attested photocopies of the same, C.V. and duly filled in application form in the prescribed format and a recent passport size color photograph. 1. Number of vacancies may vary. 2. These positions are meant for temporary extramural projects for appointment purely on temporary contract basis and co-terminus with the project. 3. Age Concession: Age relaxation is admissible in respect of SC/ST/OBC candidates, Retrenched Government Employees, Departmental Candidates (including projects), and Ex-Servicemen in accordance with the instructions issued by the Central Government from time to time. Age concession to the extent of service rendered in other research projects will also be admissible for experienced and skilled persons. 4. No age relaxation would be given to SC/ST/OBC candidates who apply for UR position. Category once applied will not be allowed to be changed at later stage and no communication in this regard will be entertained. 5. Cut-off date for age limit will be as on the date of walk-in-interview. 6. Reserved category candidates must produce their Caste Validity Certificate. OBC candidates must possess a latest valid non-creamy layer certificate. 7. Separate application should be submitted for each post/ reservation. 8. Qualification & experience should be in relevant discipline/field and from an Institution of repute. Experience should have been gained after acquiring the minimum essential qualification. 9. Mere fulfilling the essential qualification does not guarantee the selection. 10.Persons already in regular time scale service under any Government Department / Organizations are not eligible to apply. 11.Stipend/consolidated salary of the project personnel may vary from time to time. 12.No TA/DA will be paid and candidate has to arrange transport/accommodation themselves for written test/interview. 13.The institute reserves rights to consider or reject any application/candidature. 14.Submission of wrong or false information during the process of selection shall disqualify the candidature at any stage. 15.Project personnel cannot be permitted to register for Ph.D., due to time constraints. 16.Payment of salary/stipend/consolidated emoluments to the project staff shall be depending upon availability of funds from funding agency of the project. 17.Project personnel will normally be posted at the study site; however, they may be posted to other study sites in the interest of research work, they are liable to serve in any part of the country. 18.The personnel engaged on project mode shall not have any claim on a regular post in this institute or in any Department of Government of India and their project service will not confer any right for further assignment. 19.The Project Investigator and/or Appointing authority reserves the right to terminate the service of project personnel even during the agreed contract period or extended contract period without assigning any reason. 20.Leave shall be as per the Institutional policy for project staff. 21.NIV reserves the right to cancel/modify the recruitment process at any time, during the process, at its discretion. 22.The decision of the Director, NIV will be final and binding. 23.Canvassing in any form will be a disqualification. Important Note: Candidates must report sharp at 08:00 hours on the respective date of interview/test. Candidates arriving late after 09:00 hours and/or without documents will not be entertained. No accommodation can be provided for any candidate. Please be informed that, applications need not to be sent through email or any other mode of correspondence. Interested candidates must attend personally for the interview/test. I came to know from reliable sources that there a job vacancy at virology center for staff nurse I completed my rgnm and having 3 years and 6 month experience.